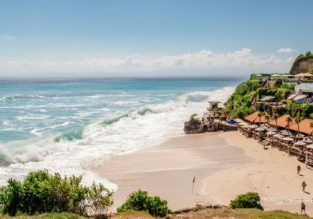 Flights from many European cities + 17-night full-board cruise from Brazil back to Europe from €542! Are you ready for a journey of a lifetime? 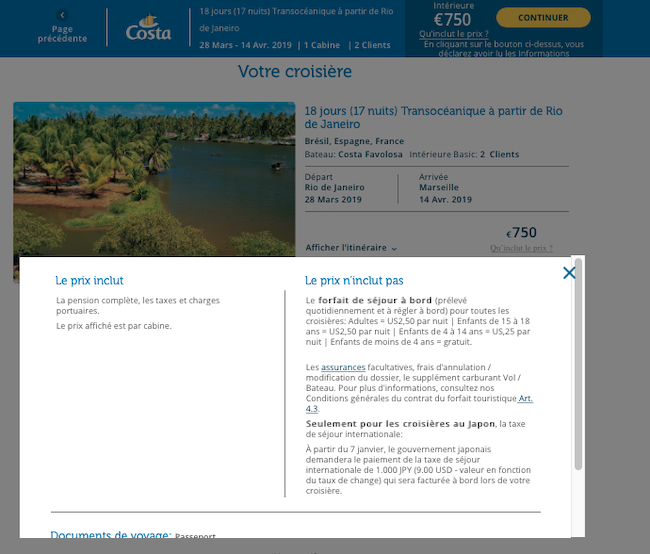 If you have ever dreamed of sailing across Atlantic we’ve just found a nice deal for you. Enjoy the spectacular 17-night cruise on board Costa Favolosa with full board meal plan for only €542 including flights to Brazil. You will visit Rio de Janeiro, Salvador da Bahia, Maceio, Recife, Tenerife, Lanzarote, Malaga and Barcelona in one incredible trip! Book this great deal and see what a joy the most classic style of cruise can be! The lowest price is based on double occupancy in a modern interior cabin. The price includes all meals, port taxes, use of on-board facilities and participation in all recreational activities and entertainment programs during the cruise. Price doesn’t include a service tax from $2.5/night (appears to be $12.5 for some). 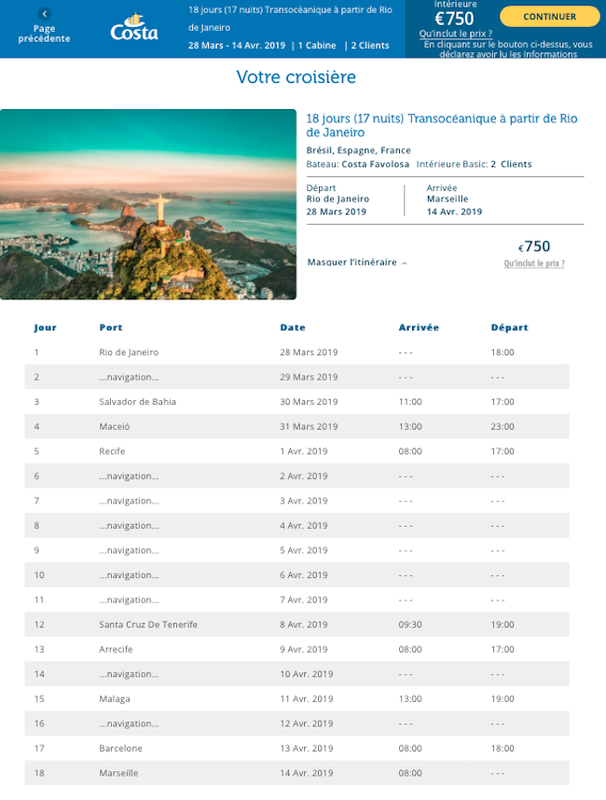 Flights to Rio available from: Luxembourg, Brussels, Paris, Amsterdam, Madrid, Barcelona, Berlin, Frankfurt, Munich, Dusseldorf, Cologne, Warsaw, Stockholm, Oslo, Helsinki, Marseille, Lyon, Milan, Rome, Venice, Zurich, Vienna and more! We have 2.5 usd, not 12.5. 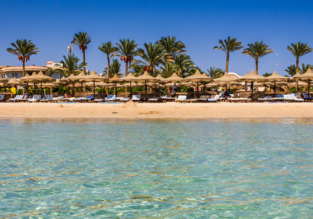 Cheap SWISS flights from Switzerland to Marrakech, Morocco from only €68! 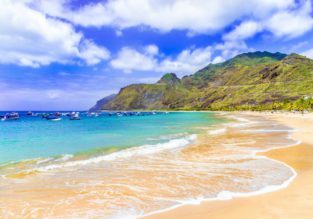 Cheap flights from Basel to Madeira for just €44!